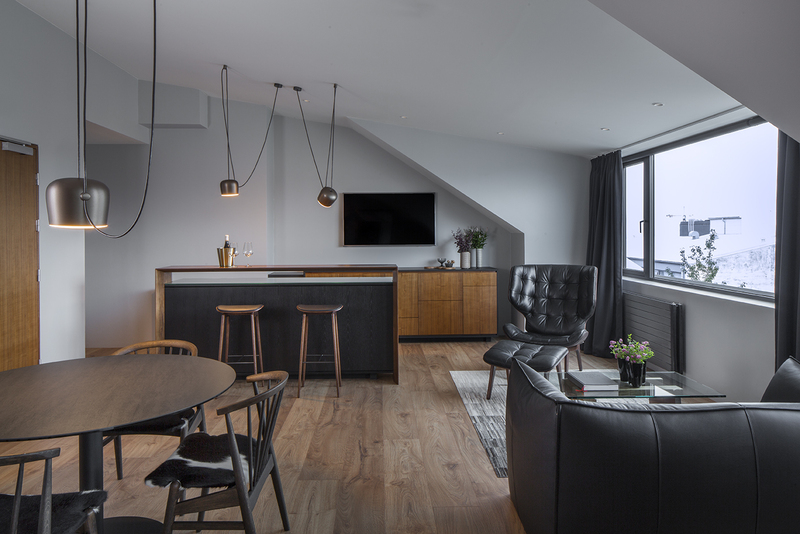 Conveniently located in the heart of Reykjavík is the newest addition to the ION family of luxury hotels—ION City Hotel. This idyllic sanctuary, designed by Minarc, juxtaposes the austere beauty and fiery drama of Iceland’s natural wonders and the City Center district where many of the coolest shops and hip bars call home. 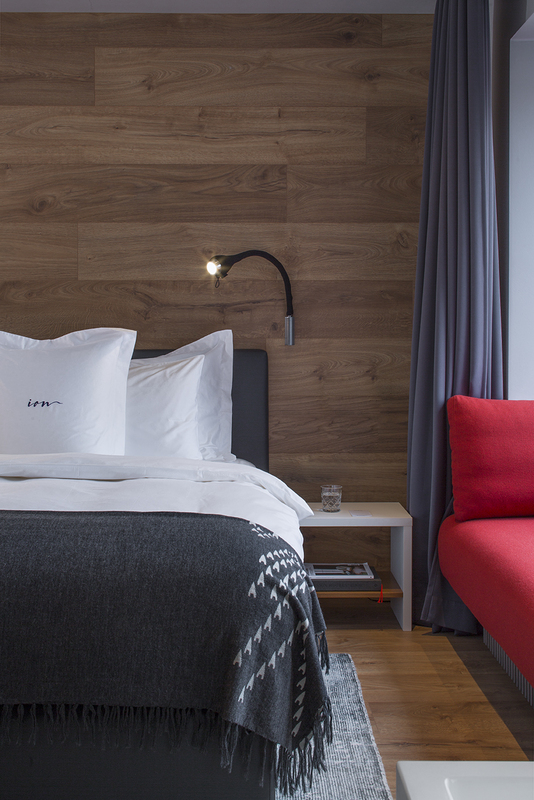 ION City Hotel offers a tranquil refuge within walking distance of most if not all Reykjavík’s bustling cultural quarter has to offer—novel restaurants, fashionable shops, first-rate art galleries and museums, and nightlife replete with a widely diverse and cutting edge music scene. Inside one instantly feels transported to the pristine countryside of this otherworldly isle of fire and ice. 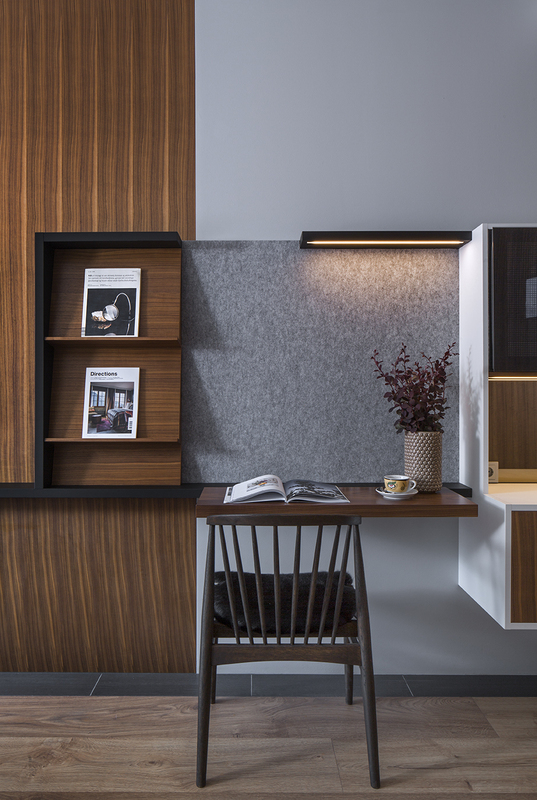 Amid the nature inspired backdrop of wide-plank, weathered wood paneled walls sits a glacier-like front desk, whose white mass stands in stark contrast to the field of black “lava” tiles it rests upon. 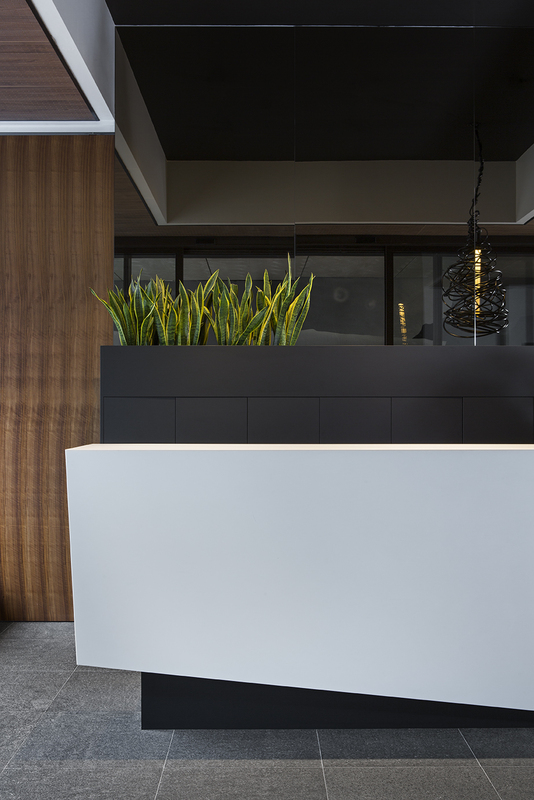 Diffused light radiates through the freely intertwined faux reed of the Nest light perched above the reception desk. The Polestar, an icicle inspired light, illuminates the lobby space much like its namesake, the brightest star in Ursa Minor. The Dropi chair, suspended like a solitary drop of falling rain, offers a playful resting place for the weary traveler. 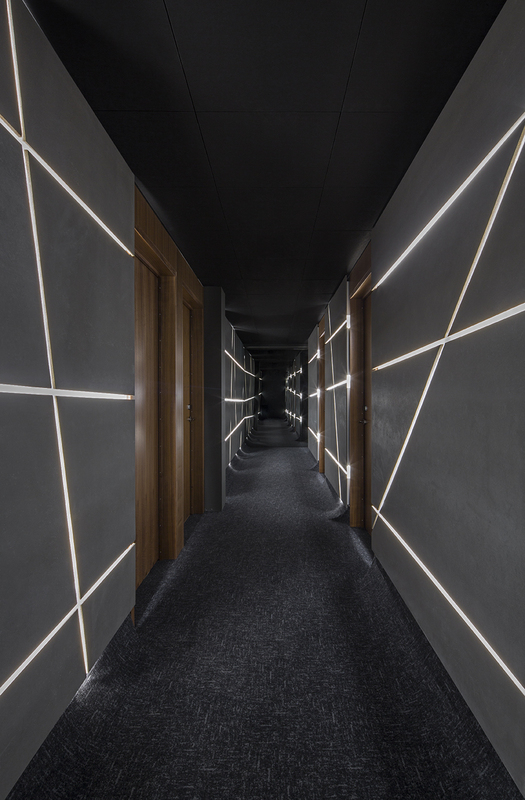 Infinity hallways connecting guest quarters mimic hot lava floes zigzagging across a vast blackened field. 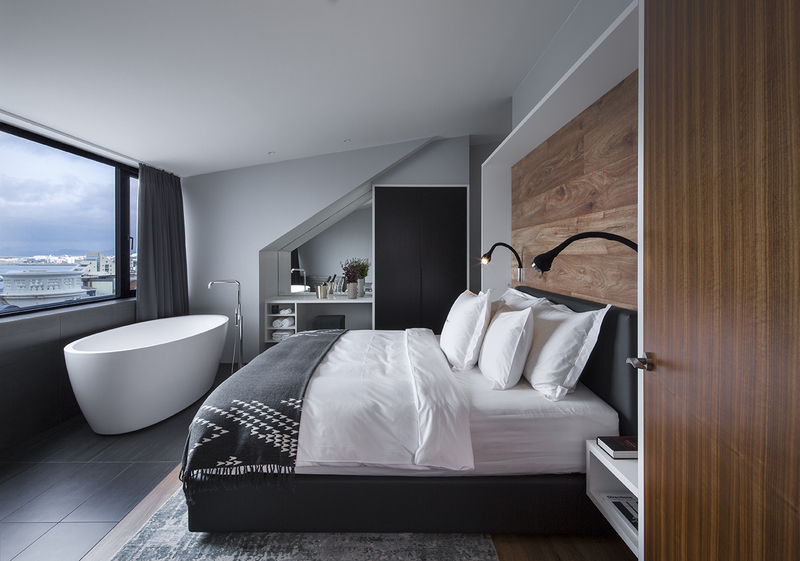 A profusion of natural light streams through the expansive guestroom windows with sweeping views of the North Atlantic sea and snow-capped mountains to the north, and dazzling city views to the south including Reykjavík's main landmark, the Hallgrímskirkja church, whose tower was inspired by the hexagonal shaped- columns formed when lava cools into basalt rock. 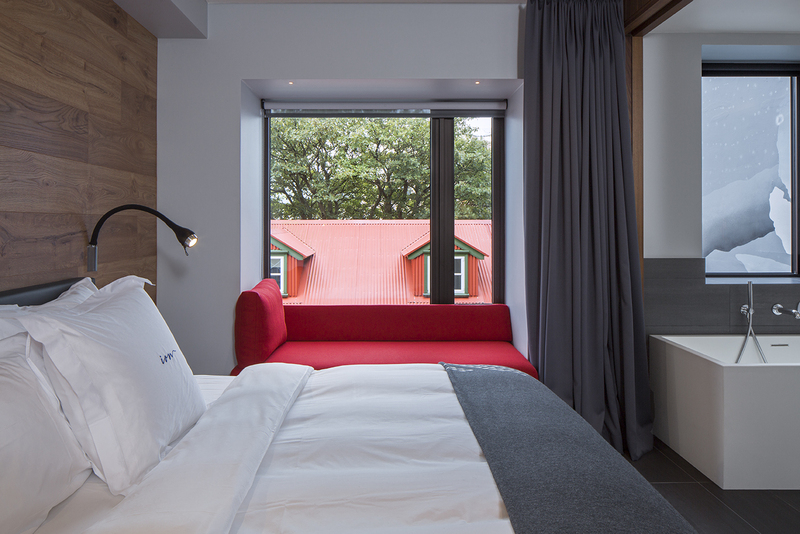 Rooms are smartly appointed with furniture fabricated from materials and colors that both reflect and connect with each picture postcard view. North facing window seats, for example, are upholstered in blue echoing the view of the Atlantic, while red, south-side sofas resonate the city’s ruddy hue. The geometric pattern on the blankets is reminiscent of traditional Icelandic knitwear and is situated in every guest room, made from 100% Mohair so it’s both soft and a part of the design of the hotel. Each private bath features geothermal hot water sourced from the surrounding natural springs. 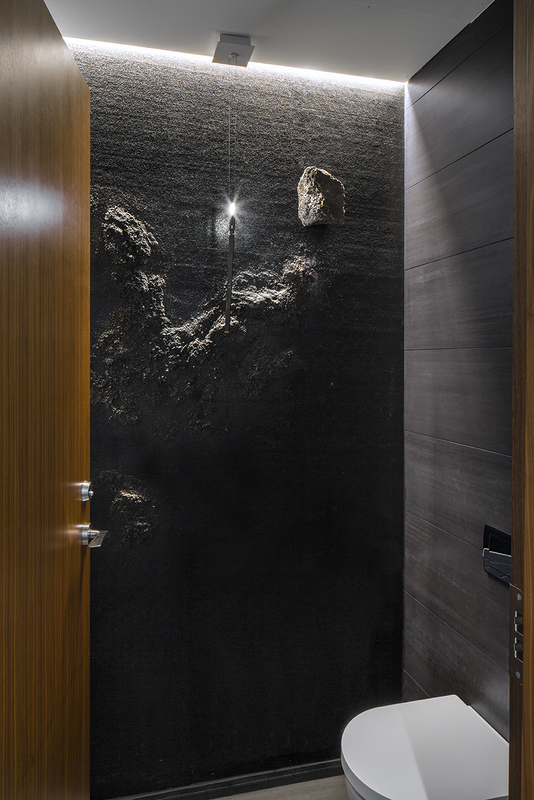 Accent walls of obsidian rock and sand murals conceived by Minarc principal and artist Erla Dögg Ingjaldsdóttir pay homage to Sprengisandur, a forbidding inner desert plateau whose ancient road cuts a pass between the Hofsjökull and Vatnajökull glaciers, and complete the nature inspired Icelandic experience. Experience the natural wonders of Iceland without leaving the city of Reykjavík. 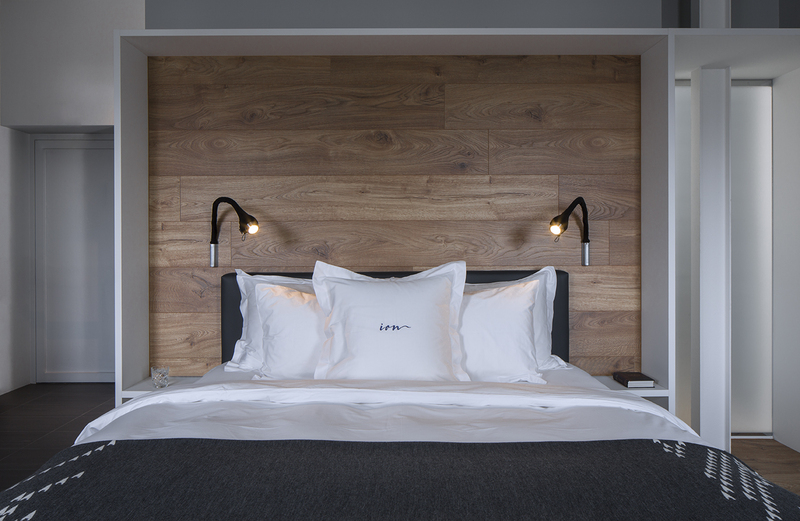 Escape to the ION City Hotel.